Without a doubt, one of the greatest Kinetic Stakes we've every sold! 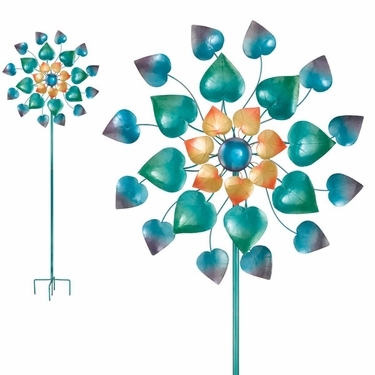 Dance with the leaves of our 32" Large Metal Kinetic Maha Rasa Garden Wind Spinner! Size: 74" Tall, 32.5" Spinner, all Metal.